and an individual from the national board of SINALTRAINAL. Together they offered a perspective on the violation of human rights by multinationals. 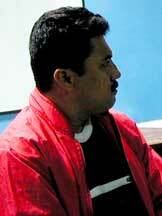 Gonzalo Quijano Mendoza was exiled for five years in Bogota after an attempt on his life. He is working with the Campaign Against Impunity / Colombia Demands Justice: Truth, Justice, Memory, Reparations. The community has been victimized by Coca-Cola and the state; seven Coke employees have been killed -- three while negotiating demands and one on the premises. 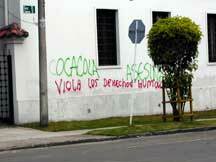 (Seven other SINALTRAINAL union leaders not working for Coke have also been killed.) Coca-Cola has also framed workers to fire or imprison them. Coca-Cola's goal is to destroy the union and put in place a system of temporary labor. All crimes against the union have been denounced to the appropriate state agency, with no response and no protection. December 5-7 -- will meet in Bogota on the anniversary of murder of unionist Isidro Segundo Gil, and to commemorate the massacred banana workers. (Note: the day after Isidro's murder, other workers were told that they must quit the union or also be killed!). 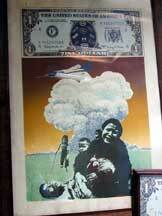 4. to secure reparations for the families of the victims. 4. Union was able to present documents to Coke which might help to change their policies. International support is growing, including the United Steel Workers of the US (who are key to the Coke suit), the CAW (Canadian Auto Workers), as well as unions in Italy, Australia, and Brussels. At this time Coke does not grant the right of association to workers. They use higher level workers to frame lower level workers. SINALTRAINAL and other unions have been placed in the context of being enemies of the armed actors. Workers are intimidated. In 2000, a worker was killed every third day. In 2001, 151 unionists were killed. 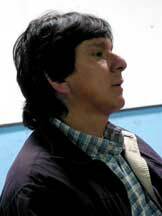 In 2002 (as of early August) 180 unionists had been killed in Colombia, including Rodrigo Gamboyo the day before our meeting. So the rate of assassination is accelerating. Workers are abused emotionally, physically, and economically, while Coke tries to keep a human rights-friendly profile in the US. SINALTRAINAL has recently demanded of Coke that they invest in the community and that they invest in reforestation because of their use of the fresh water supply. 1. there are 18 plants in Colombia which are sent syrup from the mother plant in Atlanta. 2. Coke / Atlanta has said that they wish for human rights to be respected. 3. The associated corporate structure based in Mexico also affects management. Colombian law guarantees workers' right to association, but there is a gap between what exists on paper and in practice. 1. Pre-cooperative work or associated labor is hired below the minimum-wage. They are not allowed to unionize. their re-hiring is contingent on their not joining the union. Of 10,250 workers, only 2700 are fully salaried. 7844 are sub-contractees. Many workers in outlying sectors have difficulty organizing. Minimum wage is $150 per month; about 7000 Colombian Coke workers work for less. In Georgia, bottling plants are independent of the national Coke organization. GA is non-union, i.e., a "right-to-work" state. Coke does not make their connection to the paras obvious, but SINALTRAINAL can piece together the evidence. E.g., in Coke bottling plant in Barrancabermeja, known paras are invited into the plants. SINALTRAINAL began in 1982 as a national union; they were interested in part in countering the use of genetically modified ingredients by Coke. Representatives asked us to "creatively vandalize Coke propaganda." Video was shown, wherein boycott was mentioned as a strategy. In debriefing, there was some question whether this has been adopted as a SINALTRAINAL strategy. A wall in Bogota. "Coca-Cola Assassinates"